On a brisk Spring day in March 1996 your correspondent was excitedly waiting outside the Aladdin’s cave that was (and is) J&R World in down-town Manhattan. 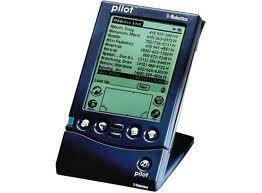 At the opening of the store I rushed in and bought one of the first Palm Pilot 1000 PDAs sold. The Palm is largely forgotten now, but 15 years ago it was a miracle of design and engineering. It was the first touch screen PDA made, and for the time it was a work of genius – Windows 98 was 2 years away – and mobile phones were the size of a can of Pale Ale, so something small that actually worked was a miracle. It synced with Outlook, had really usable handwriting recognition, and could slip in your pocket (as long as you were wearing roomy trousers). I stayed with the Palm for many years buying pretty much every new version that came out, until Microsoft’s Windows mobile PCs took over, and I moved on to the engineering genius of High Tech Corporation of Taiwan, or HTC for short, and their incredible miniature PCs. Three years ago the Apple IPhone came out, and of course last year the iPad, but I really could not bring myself to buy one. This was not because of the cost. I have to say that by and large, I accept no budget constraints in the area of personal gadgetry, as the DLW will ruefully attest, and as witnessed by the overflowing cabinets and shelves of obsolete bits and pieces (and indeed the 7 PCs I currently operate) at Chez Nous. It was because of a personal problem I have with all Apple gear and which has become more pronounced as the corporation got larger. As Apple move on their inexorable path to become the most valuable company in the world (they only have to pass Exxon, and right there is a small indication of what Faustian bargains may have had to be made), I have felt they became more and more controlling, and too personally inconvenient for me to deal with. So I waited and went down the Google Android path. And I must say, the bits of Android kit I have bought this year have brought a level of fun and amazement that recalled the first glory days of the Palm 1000. In particular, I have been using the very interesting Asus Transformer tablet, and in a few upcoming posts, I will outline my experiences with it, and also with the stonking HTC Sensation phone. My goal in all this is to muse somewhat on the notion of portable computing, and explore where it is now, and where it might go. Other than the Palm, I have been lugging bits of ‘portable’ computing equipment around since they were first made, from the massive Compaq and IBM systems of the mid-80’s to the smallest and lightest of laptops of today. For many years I used to carry this stuff around on trolleys (well, wheeled PC cases). The stuff was only portable to the extent that it could physically be moved. These days, I want to be unencumbered, but connected and able to write or read wherever I am. I am certainly not carrying around a briefcase, and I don’t want anything that weighs more than, say 1 kilo, to lug with me. What is possible within that scope has been fascinating me recently, and I will share my experiences over the next week or two, so that anyone with similar goals might get a bit of a head-start. 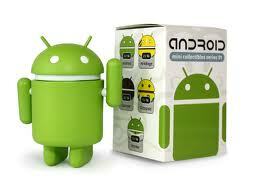 As I get into this Android stuff however, there is an obvious question – why not just buy Apple gear? It’s there, it’s beautiful, and it works. Ahhh well that’s the subject of my next post – ‘what’s wrong with iTunes’. A small reminiscence to conclude. 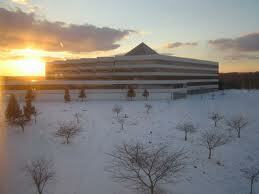 Aeons ago, I was working late in IBM’s hilltop corporate eyrie in Somers, New York State. About 9 pm or so, laden with my bulging briefcase (not wheeled this time), and deep in thought, I headed out of the building toward my rental Taurus. Putting my case down to open the car door, I paused for a moment to think something through. Having resolved it to my satisfaction, I got in, cranked the car into reverse, and headed back and out. To my surprise and alarm the Taurus started to rise up at the back, although the lot was perfectly flat. I stopped. Seconds later, a passing late worker tapped on my window. I lowered it. “You’ve run over your briefcase” he said flatly, and continued on his way as though this was a relatively common, even daily, activity. Getting out of the car I found the nearside rear wheel was resting heavily on the briefcase, which was now markedly thinner. Reasoning that I should avoid tangling the remains in the exhaust system, I drove forward again, running the case over a second time, then got out, and stood, alone in the gloaming, with my crushed case glistening and apparently steaming in the parking lot in the evening chill. The day had not been that good, and as it turned out, it had finished rather badly. I pulled together the bits of my case, pushed them in the back seat and went off for a very large gin Martini. The next day I pulled out the pieces of the contents of the case. 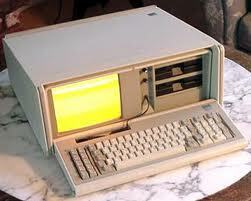 In it there had been an IBM Thinkpad of course, plus numerous chargers, phones, PDAs and the like. I opened the Thinkpad, and the screen hung worryingly at a clearly non-standard angle. With a great deal of trepidation I switched it on. Of course it started, and ran, and I used it for another 2 months till the replacement arrived. I think it’s fair to say: they don’t build them like that any more. I try to learn something every day. That day I learned that while it may be possible to achieve thinner laptops, it’s best not to do so by rolling them flat in a rental Ford. Other, better, paths to portability will be explored in future posts on this topic.